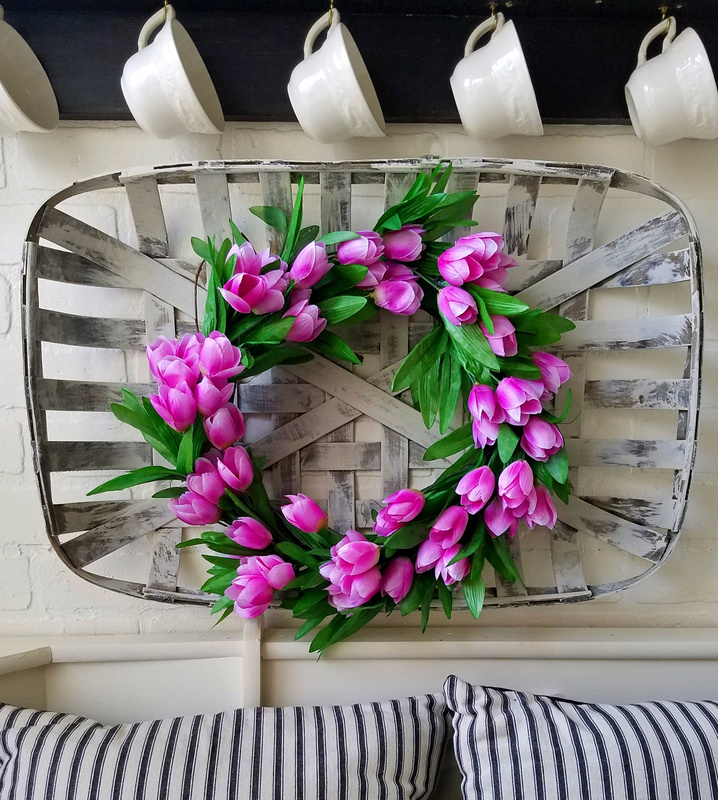 Tara at Stilettos and Shiplap's No Matter How Long The Winter, Spring Is Sure To Follow is just adorable. I would have never thought of putting a letter on each pot. It gives her Spring display such a fun feel. Just LOVE LOVE LOVE Emily @ LeCultivateur's Foraging Happiness ~ DIY Bird Nest What else can I say? It's just Spring epitomized. Beautiful! Kippi from Kippi at Home and I have something very much in common. We both love using our teapots for something much prettier than tea! 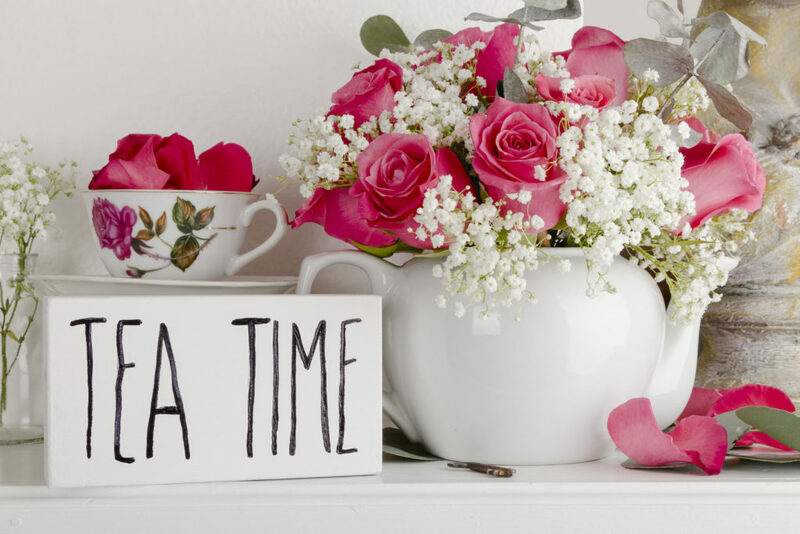 Her Teapot Centerpiece and Hand Painted Sign is just adorable! If you want to see mine, click Here! I definitely want to join Sandra from Sweet Sensations at her beautiful Flowers in Bloom Spring Tablescape! Gorgeous colors! Tiffany from TeeDiddlyDee's DIY Rustic Planter Box & Mason Jars is just super sweet. I love chalk painting Mason jars. These little arrangements are just adorable. I'm new to Ann from Corner of Plaid and Paisley. Am I ever glad I found her! 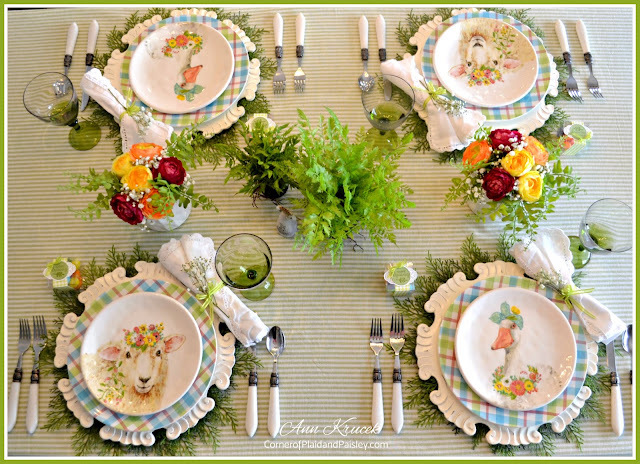 Isn't this the sweetest Springtime Tablescape you've seen?! I love it! Thanks for sharing Ann! 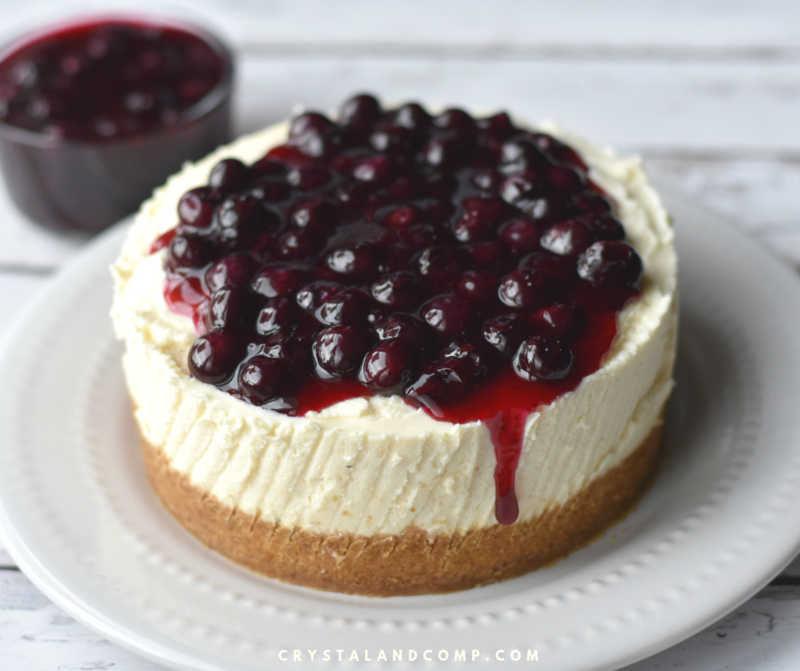 Let's face it, if you know me, I can't enjoy a party without at least one super yummy recipe and Crystal from Crystal and Co. did not disappoint with her Instant Pot Blueberry Cheesecake Recipe SUPER YUM! Now, if I just had an Instant Pot! Thank you all so much for sharing all of your incredibly talented posts and creations! I just LOVE seeing so much beauty in one place. I'm so glad, Kippi! I hope you saw your Feature up there. :) Happy Weekend! My Link Ups for this week at # 53 and # 54!! Thanks for hosting each week !! Thanks, Debbie. I visited! Happy Weekend! Thank you, Irene. I visited and pinned! Yummy! Thanks for hosting, Theresa. I linked up at #82 & 83. It's feeling like spring time here and I'm loving it! Hope you have a wonderful weekend. My pleasure, Ann! Glad to have you joining us. Theresa, we enjoyed the snow on our ski trip to Breckenridge #108 with it's charming historical gold mining town and great restaurants. I've been setting tables again with #106 and 107, one to welcome spring and the other to celebrate St. Pat's with DIY, hand-painted shamrock glasses. Wonderful, Debbee! I'm anxious to check them out! Thank you so much for featuring my DIY Rustic Planter Box & Mason Jars! You really made my day a little brighter! I appreciated this link party and all the work that goes into posting it each week! Hope you have a wonderful day! Linked up this week at 55,56, and 58. Two parties and a retreat wrap up. :) Thanks for hosting!